Southampton F.C is currently competing in the top tier of English Football. The club was formed in 1885 by members of the St. Mary's Church of England Young Men's Association and was originally known as St. Mary's Young Men's Association F.C. They joined the Southern League in 1894. 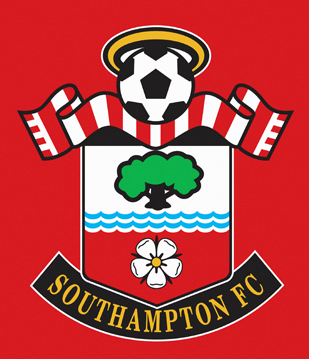 They won the Southern League title in 1896-97 and that is when the club was renamed into Southampton F.C. They were winners of the Southern League also in 1899, 1901, 1903 and 1904. Southampton joined the Football League Third Division (which was in 1921 split into South and North) in 1920. They won on their first attempt and were promoted into Second Division where they stayed for 31 year. They had a setback of seven years since they fell back to Third Division in 1953, only to come back to Second Division in 1960. In 1966 they made their way to the First Division. Their highest finishing position in this division was seventh and this enabled them to qualify for the Inter-Cities Fairs Cup in 1969-70 as well as in the UEFA Cup in 1971-72. After a number of achievements, they fell back to the Second Division again in 1973, but already in 1976 they reached the FA Cup final beating Manchester United 1-0. In 1977-78, under the management of Lawrie McMenemy Southampton finished the runners-up in the Second Division and went back to the First Division. The manager made a number of good signings securing a great progress of the team and in 1983 they had their highest-ever finish being in the second place in the First Division. Southampton were one of the founders of the Premier League in 1992-93 but were struggling against the relegation during the first ten seasons. In the season 1995-96 they finished in the 17th place and in 1998-99 they were at to bottom of the table for the first half of the season. They finished the 2000-01 season in the 11th place, and 2002-03 in the 8th. In 2005 Southampton was relegated from the Premier League due to internal turmoil. This ended the 27 successive seasons of competing in the top-division. However, after many financial struggles they managed to return to Premier League 7 years later and remain there ever since. The club has a fierce rivalry with Portsmouth and the matches between the two sides are known as South Coast derby.